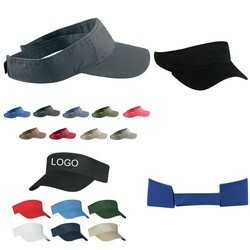 Shade their eyes from the sun with this 100% cotton twill visor! Perfect for athletic campaigns, beach promotions and outdoor events. Available in several different colors to choose from, add an imprint of your company name or logo for maximum brand exposure!